This is the third part in a series. Be sure to check out parts 1, 2, 4 and 5. Many gun-related crimes involve some form of theft. The root causes of theft usually have less to do with the thief wishing harm on anyone and more to do with financial desperation. Addressing issues of poverty, homelessness, and unemployment can go a long way towards combating economic crime. Helping people gain access to basic necessities such as food, shelter, healthcare, and employment can go a long way towards eliminating certain types of firearms-related crime. 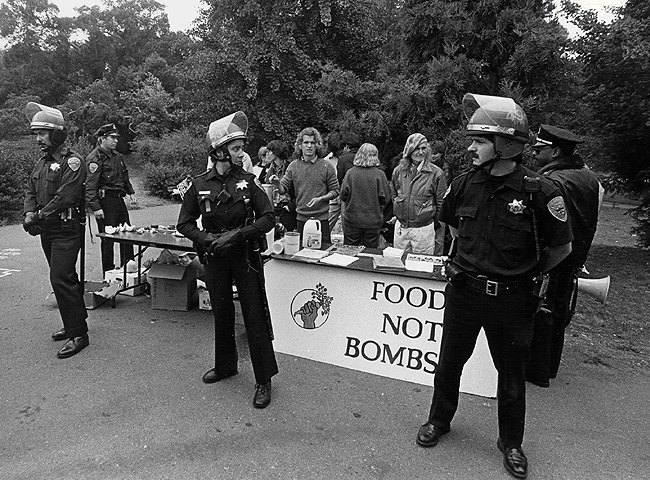 Soup kitchens, food pantries, and groups such as Food Not Bombs allow those in poverty to access the food they need to live. Free clinics and other similar efforts help people without access to healthcare. Ending government restrictions on market entry such as zoning laws, job licensing, complicated tax codes, and other business regulations that insulate large corporations from competition would allow people to go into business for themselves. This ensures that they have the freedom and ability to make money on their own terms using their own unique skill sets. Of course, the philosophy of agorism promotes the practice of taking our business into the black and grey markets. In these contexts, the aforementioned regulations are (where possible) disregarded entirely. Illegal trades such as drug dealing allow people without sufficient access to traditional or “legal” means of income to make a living. Admittedly, while such things remain illegal and are driven underground by the state, the violence involved in such trades is largely left unchecked. If such trades took place aboveground they would be subject to non-state regulation via public pressure, boycotts, and other tactics. Strong unions are also a good way of alleviating poverty. Unions allow workers to collectively bargain for things such as higher pay, health insurance, and job security. Horizontally organized unions put the power in the hands of the rank and file worker. However, like most things useful in challenging corporate and government power, mainstream labor unions have been warped and assimilated into the very oppressive power structures they once promised to protect workers from. In order to re-strengthen the labor movement, we must repeal Taft-Hartley, the Wagner Act, the National Labor Relations Board, and “Right to Work” laws so we can get back to good old-fashioned grassroots union organizing. This form of organizing can help people out of poverty and reduce the desperation that leads to economic crime. Strong unions also mean that we can more effectively challenge many so-called “free trade” deals such as NAFTA. These only serve to strengthen corporate interests at the expense of labor unions and working class people: creating more poverty, more desperation, and therefore more crime. Tenants unions give people the power to challenge slumlords, unfair living conditions, and evictions. Anti-eviction occupations such as those organized during the height of the Occupy movement also help protect people from potential homelessness. Strong homesteading laws, squatters’ rights, collective housing, and homeless shelters also help keep people off the streets and enhance their stability. Housing, together with employment, healthcare, and food, helps to alleviate the causes of crimes that stem from desperation, including armed robbery and gang activity. Addressing these issues would drastically decrease gun violence more than any “common sense” gun control measure. But it won’t be easy. Nothing worth fighting for ever is easy.